The scarcity of fossil fuels and the threat to our climate from carbon emissions have focused attention on alternative energy sources. In recent years, biofuels have led the way. But in the rush to embrace this new solution, have we made a huge mistake? Ciaran Walsh explores the issues for Russia Today. It is already a huge business. 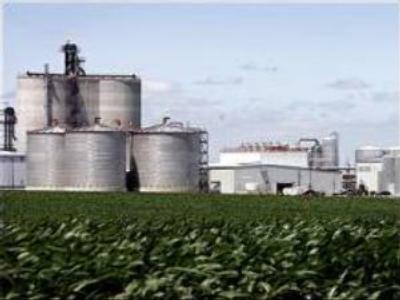 The United States plans to provide 15 per cent of its fuel requirements with biofuel by 2012, while the European Union wants ethanol to make up 10 per cent of each litre of gasoline sold by 2020. The World Economic Forum in Davos has recommended that 515 billion dollars a year should be spent globally on clean energy development – like ethanol – between now and 2030. However, some believe that the turn to biofuels will prove to be an unmitigated disaster. They claim it will result in the destruction of tropical rain forests, the proliferation of genetically modified monocultural crops across the planet, and therefore accelerate any impending ecological disaster rather than stopping it. Supporters of biofuels accuse the naysayers of using old data and making unfair or outdated assumptions on what factors to include in their analysis. So just how ethical is ethanol? And what are the boundaries or measurements we should use to decide whether the agrofuel route is indeed the greenest and cleanest? Peter Nuurbier is the Associate Professor of International Business Management at Holland’s Wageningen University; he also advises the Dutch government on their ethanol dealings with Brazil. “There are three basic ethical dilemmas with ethanol. One, climate change – does it have a negative impact on global warming? Two, the food versus fuel debate, is it ethical to put arable land aside for fuel and in effect link the two markets together? And three, does it actually help re-distribute wealth?” Nuurbier asks. 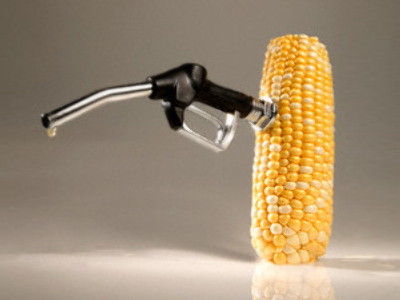 Two men that think ethanol fails on all these fronts are David Pimental, professor of ecology and agriculture at Cornell University and Tad Patzek, formerly of Berkeley and now Chairman of the Department of Petroleum and Geosystems Engineering at University of Texas at Austin. Fighting the corner for agrofuels is Bruce Dale, Distinguished University Professor at the Dept. of Chemical Engineering & Materials Science at Michigan State University. Using food crops to produce ethanol also raises major nutritional and ethical concerns. With nearly half of the world classified as ‘malnourished’, how can growing crops for fuel be seen as a clean and green way for the future? Has our addiction to fuel finally consumed us to the point of taking priority over food? The fear remains that the sheer profitability of biofuels – massive subsidies and tax breaks mean it is possible for a farmer to use more than a gallon of fuel to make a gallon of biofuel and still make a profit – will encourage poorer nations to grow these cash crops instead of crops for food. The image of fields of corn grown for biofuels in a country where the people are starving has a particular nightmarish quality to it. Brazil hopes to be the world leader when it comes to the fuel of the future – cheap ethanol derived from sugarcane. Last year alone, Brazil produced 26 billion litres of ethanol. That figure is expected to double to 53 billion litres by 2017, with more than 30 countries worldwide using it as an additive to gasoline. It is advertised as a renewable energy source that will both solve our dependence on petrol and help reverse climate change. It could even help address the unequal distribution of wealth in the world. The President of Brazil is convinced Dale is right. Luiz Inacio Lula Da Silva wants to create a green belt of sugarcane production along the equator. This would link large parts of the tropical Third World. These countries could then distil ethanol and their governments could join forces to form an organization along the same lines as OPEC. Prof Patzek cannot fathom that logic: “The industrial production of sugar cane is so intensive that the current system can last for the next 30 years or so and then there will be a massive failure. When you are talking about chopping down the Amazon you are changing the climate for northern and Central America. You can cause massive drought in western US this way. We are blind fools for ignoring that the world is connected in this way and the President of Brazil is a double blind fool,” he says from his office in Texas. Brazil – green belt built on slave labour? The arguments above are grounded in theory. The reality is tens of thousands of people in Brazil are working the sugarcane plantations for wages akin to slave labour – all to quench our new thirst, not for oil but agrofuel. In 2007/8 Emma Raynes was the Lewis Hine Documentary Fellow from the Center for Documentary Studies in North Carolina. As part of her work she visited the sugar cane plantations of Sao Paulo and witnessed firsthand the hardships of the migrant workers there. Whatever the positive or negative eco effects biofuels may have on the world – it’s clear that there are more than earthly ethical issues to deal with. The success of clean and renewable energy should not be made off the sweat and blood of slave labourers. Ethanol is hardly providing a more equal distribution of wealth around the world when workers like these are living and dying on plantations in the name of ‘clean fuel’. Until that is corrected, ethanol, regardless of it benefits and drawbacks, is far from a green, clean and ethical solution to our insatiable thirst for fuel. Perhaps it’s time to become more efficient as a species rather than trying to find new and efficient sources of power. Bio-fuel in Russia: impossible at present? Hydrogen bacteria to fill gas tanks?